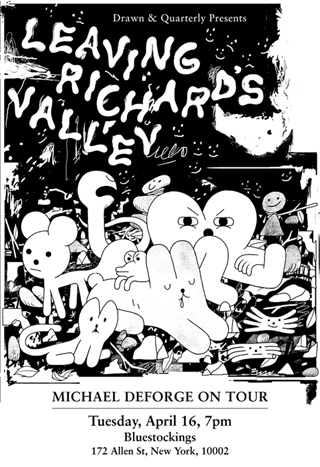 ABOUT THE AUTHOR: Michael DeForge was born in 1987 and has written eight books including Ant Colony, First Year Healthy, Big Kids, and Sticks Angelica. He has been a celebrity judge for the Midland Buttertart Festival. He is currently on a treadmill.